So many bands in San Francisco, it seems impossible to keep track of them all. Here’s a local trio whose warbled lyrics and yummy guitar licks caught my ear. Their debut EP, Gamble, Gamble, Die, is out now. Keep an eye out for them around town. 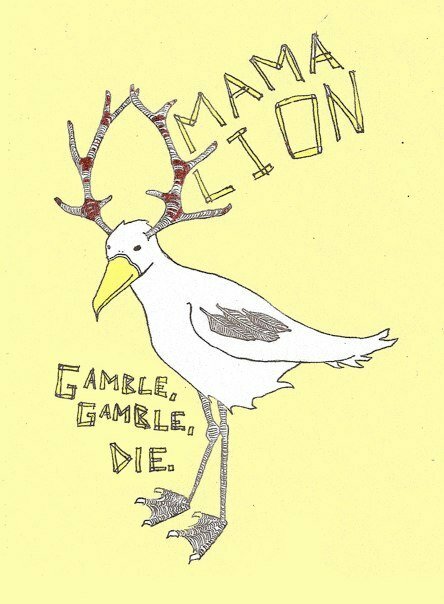 This entry was posted in SF Spotlight and tagged f and m retreat, gamble gamble die, mama lion. Bookmark the permalink. I saw them (Mama Lion)at their EP release party and they were awesome! Love that song ‘Nothing’! I heard them in Mexico, unplugged!!! They are great. Amazing lyrics! I love this band, they’re amazing live and have awesome songs. This band stands out from the pack for me. Mama Lion is simply spectacular!